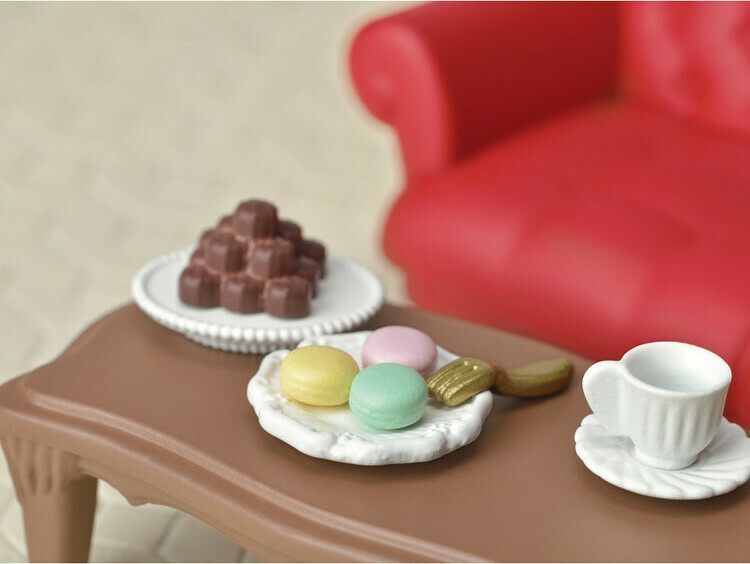 The Chocolate Lounge comes with a shop counter, lounge furniture, tea party accessories and lots of chocolate. It's a perfect set to place inside the Grand Department Store (sold separately). For children ages 3 and up. The Chocolate Lounge comes with a shop counter, lounge furniture, tea party accessories and lots of chocolate. Measures approximately: 4.72 x 2.17 x 5.91 inches..